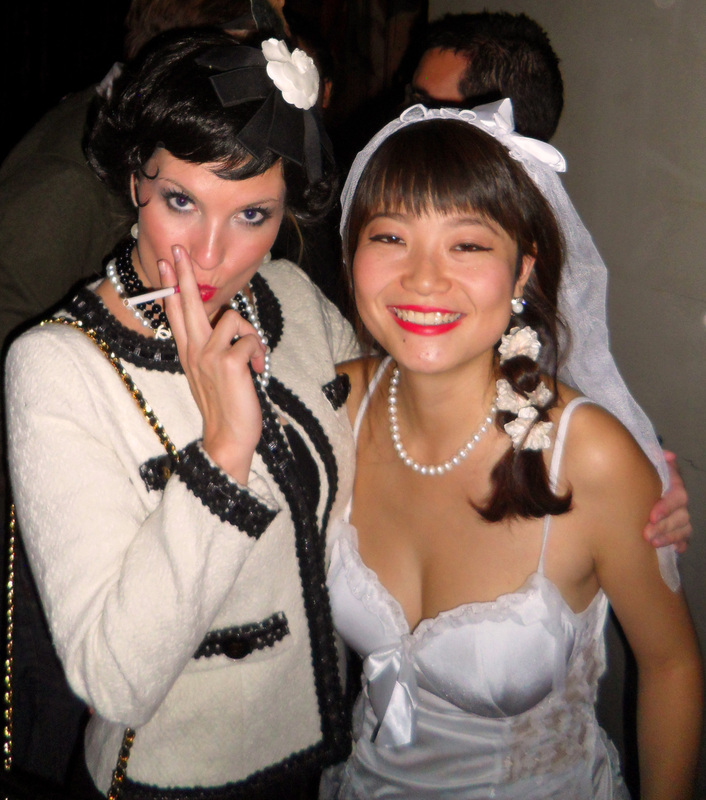 Channeling Chanel - Cigarette = Prop! 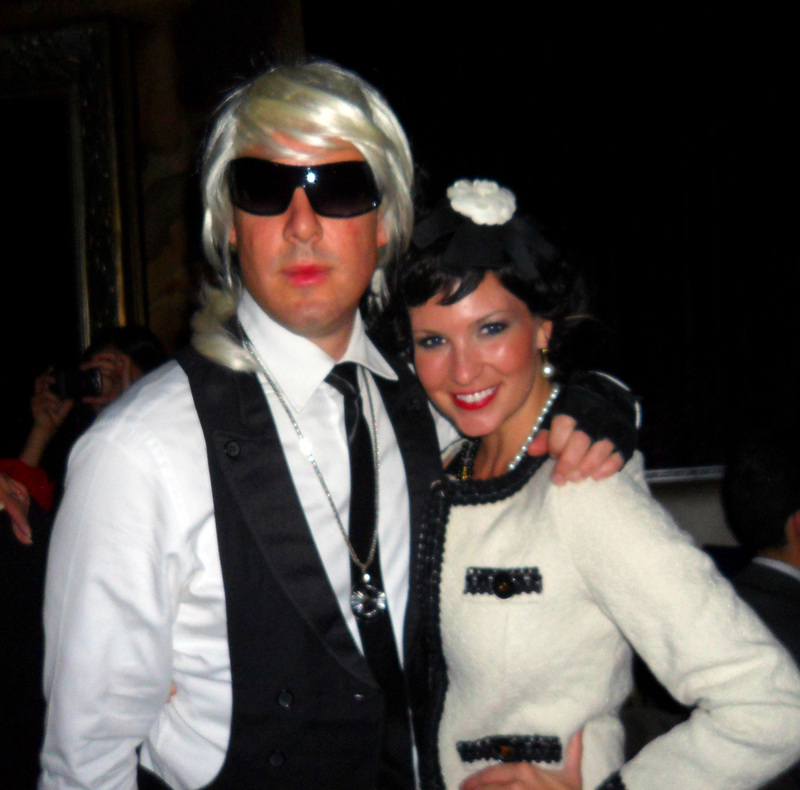 the world lost one of the greatest designers of all time – Coco Chanel – but back to October 31, 2010 – when I channeled Chanel and Brett cloned Karl (Lagerfeld) for a Halloween celebration…Beijing style. 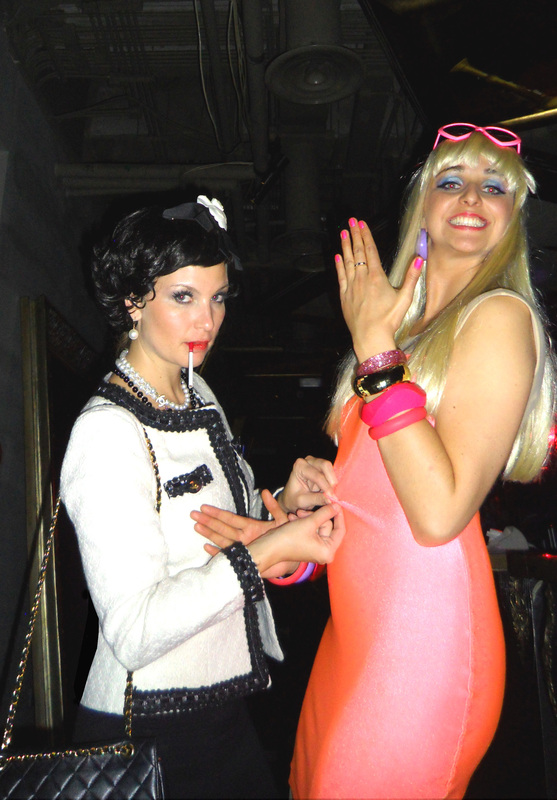 We hit the town with a fantastic group of friends dressed in a variety of costumes including: a Piece of “Bad Press”, a Greek Goddess, a French Painter, a Bride and Groom, and my personal favorite – Barbie and Ken. The night started at the Saddle Cantina (one of our favorite spots) to fill up on mexican food and margaritas. Although, I am pretty positive that Coco would have preferred Steak Tartare and Champagne….if she ate at all! 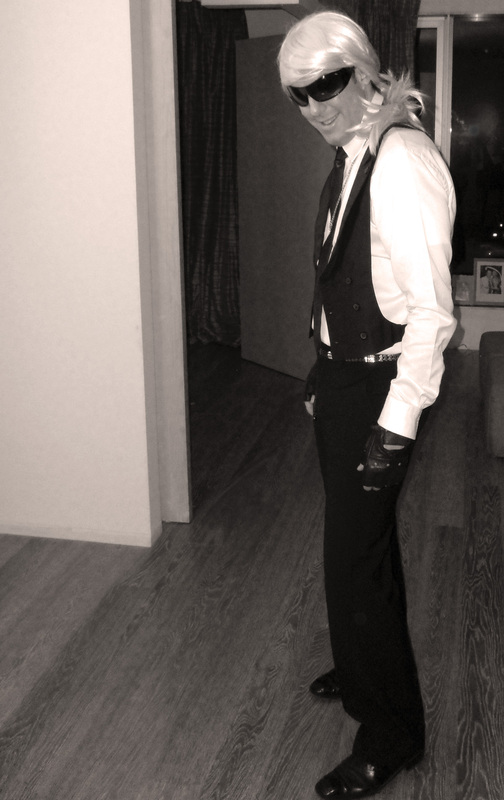 After dinner we set out for an official Halloween Party at LAN Club – a Phillipe Starck designed restaurant and lounge. The party was packed with locals in fabulous costumes. I was thrilled to see how much the Chinese love a costume. I would wear a costume everyday if I could. Perhaps in Beijing…I can. At the party we spotted a Lego, a variety of Pandas and Disney Characters, and of course a slew of girls dressed as scantily clad as possible – because after all – that is what Halloween is all about, right? The music was a big highlight of the party. There were 3 rooms with completely different genres of tunes – so if we got tired of one – we just danced our way to another area. Because LAN is also a restaurant, we were able to find a deserted private room to rest our feet and avoid the long lines at the loo. It was a win – win! Halloween in Beijing. I give it 4 Blonde’s out of 5! **Please NOTE – The cigarette is a prop. It was never lit!